Penn-Sylvan personnel, led by owner Bill Reese, have decades of hands-on experience in both the export and domestic hardwood industry. 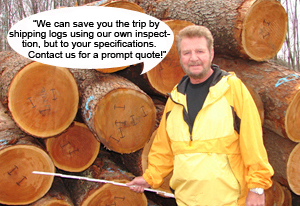 Our staff is trained to provide the high quality logs it takes to satisfy the demands of today's hardwood market. 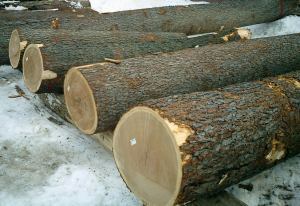 We are also buyers of standing timber with a staff of foresters and natural resource consultants. Standing timber is purchased from the abundant wood lots owned by local government agencies, as well as from private landowners. Relying on these rich timber resources in our surrounding region enable us to meet the competitive demand for both logs and lumber. Located in northwest Pennsylvania near Spartansburg, our 100-acre facility and nearby log yard utilizes dry kilns, grading stations, kiln dried storage and two saw mills to inspect, select and prepare logs for shipment. 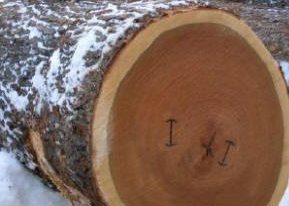 Let us supply you with the finest Pennsylvania veneer and hardwood logs!